It's definitely beginning to look a lot like Christmas! 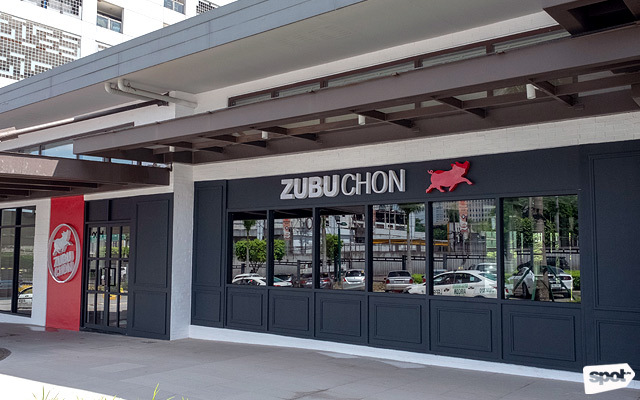 (SPOT.ph) You've probably already heard of this famed lechon joint: Zubuchon has finally opened their biggest outpost north of the Metro—and just in time for Christmas get-togethers when you indulge in guilty pleasures with friends and family. Zubuchon owner Joel Binamira has come a long way from almost refusing late chef Anthony Bourdain’s personal request to cook lechon for him at his own home. 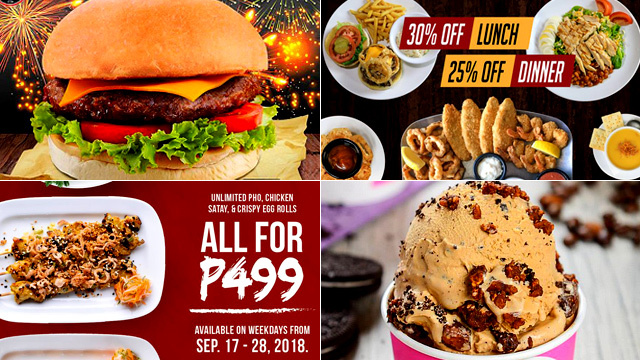 After years in the business and opening 14 branches nationwide, he believes it’s not always about coming up with the newest and wildest concepts. “We’ve stuck to our guns. We don’t take shortcuts with our flavors. It’s all about going that extra mile and spreading the benefits,” says Binamira. “If the food feels like it has a bit more soul, it’s because it does. What really shines through is the localness of the ingredients. We use local ingredients when they are at their peak so local growers can get maximum value,” he adds. 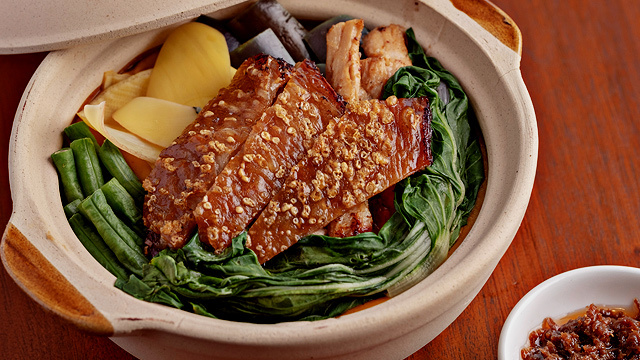 Zubuchon's Original Lechon flaunts succulent meat you'll want to pair with steaming hot rice. 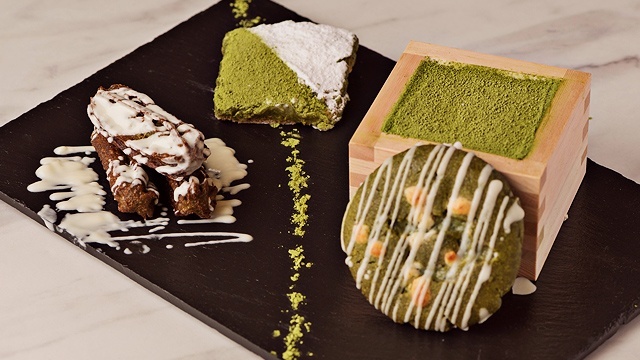 Amid the familiar black-and-red façade of the lechon restaurant are Zubuchon’s classic dishes that’ll please just about any carnivore you know. We’ve said it once and we’ll say it again: The Zubuchon Original (P320/small, P630/medium, P940/large) is a no-fail. 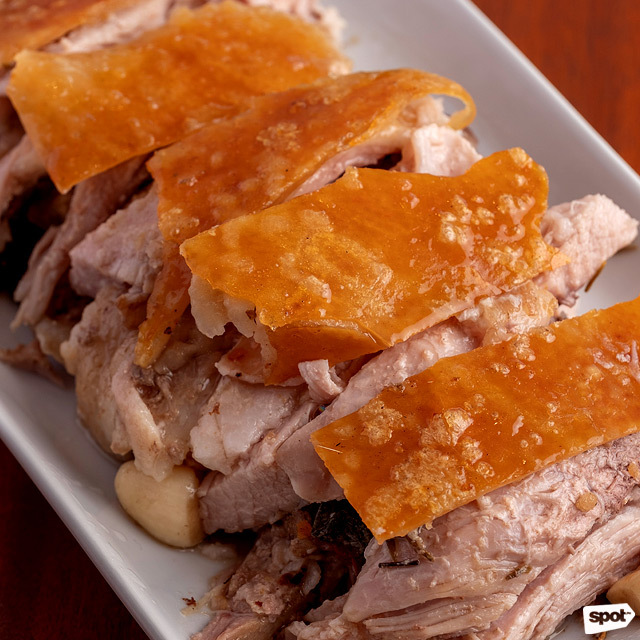 With that crispy and glistening lechon skin over a bed of succulent roasted meat that’s seasoned with fresh herbs and spices, how can you resist? You can also get the boneless variant for more of that melt-in-your-mouth fatty flavor—no regrets. 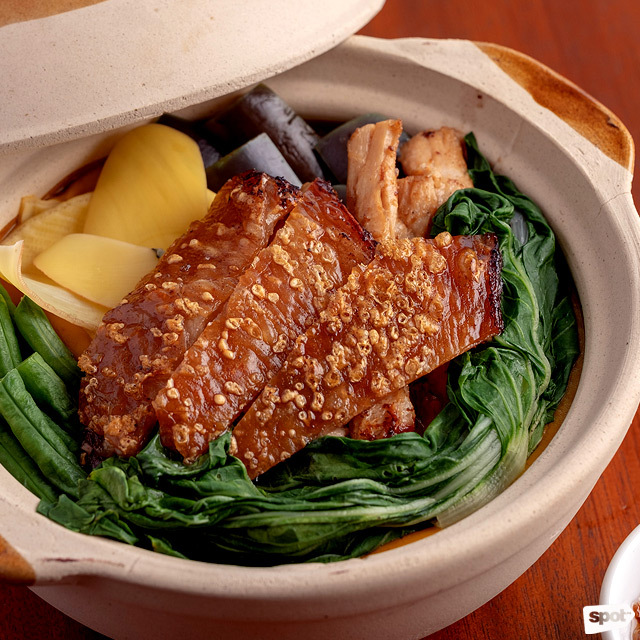 The Lechon Kare-Kare is an unusual take on the classic Cebu-style lechon. 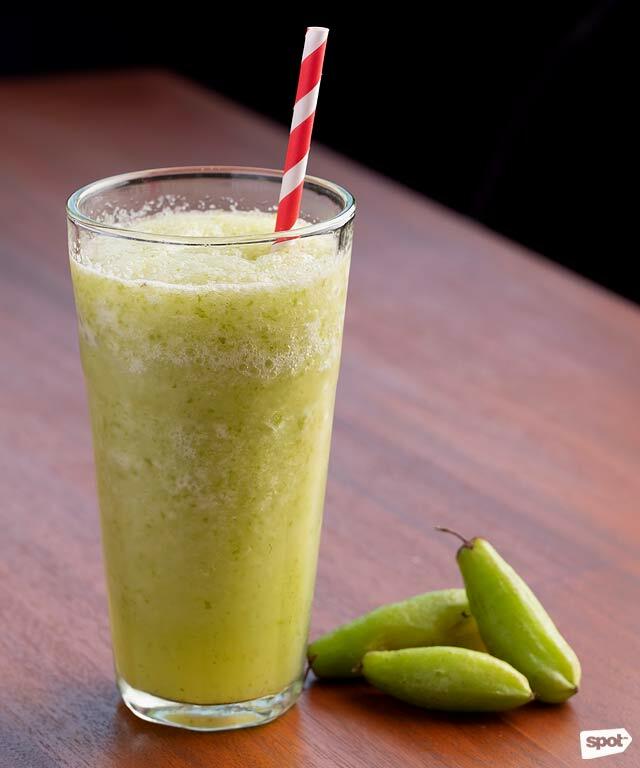 For something really refreshing, try the Kamias Shake. For those who want to try other dishes, don’t leave without having the Lechon Kare-Kare (P390) to enjoy the same savory lechon but with sweet and creamy peanut sauce Filipinos love and, of course, a touch of bagoong. The perfect complement to the restaurant’s heart-stopping meals is the Kamias Shake (P120), or blended kamias in sugar water. This tangy yet refreshing drink is particularly good at cutting the richness of Zubuchon’s heavy pork-based dishes. “Everyone from the Visayas knows that if you’ve run out of anything to eat, you can eat kamias. You can create a dish from what’s in your backyard,” says Binamira. But he discovered that people don’t use kamias as much because no one sells it anymore. As the single largest consumer of kamias, Binamira doesn’t purchase it from markets. “We have one lady collecting it all over Cebu. No one else does it because no one is crazy enough to employ someone to walk around the suburbs in Cebu and find kamias trees,” he says. These Fish Skin Tacos are made of two kinds of fish: Parrotfish and tanigue. 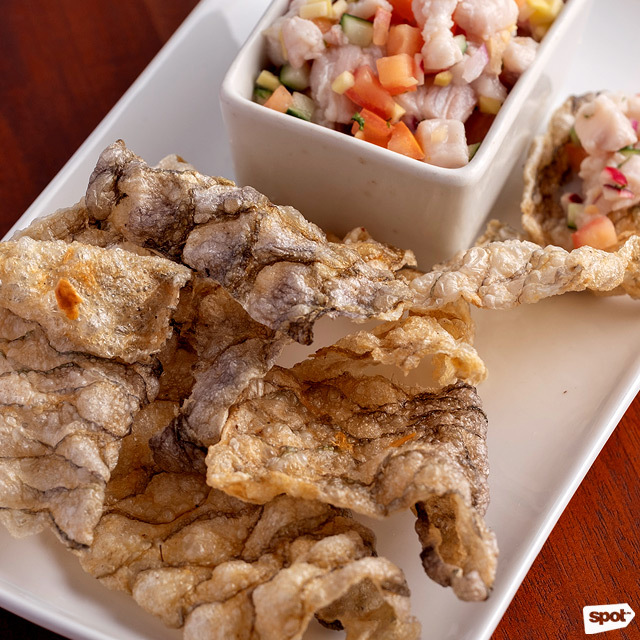 For those looking for non-pork dishes, you can opt for the crunchy Fish Skin Tacos (P370) served with crunchy deep-fried parrotfish skin and kinilaw na tanigue. 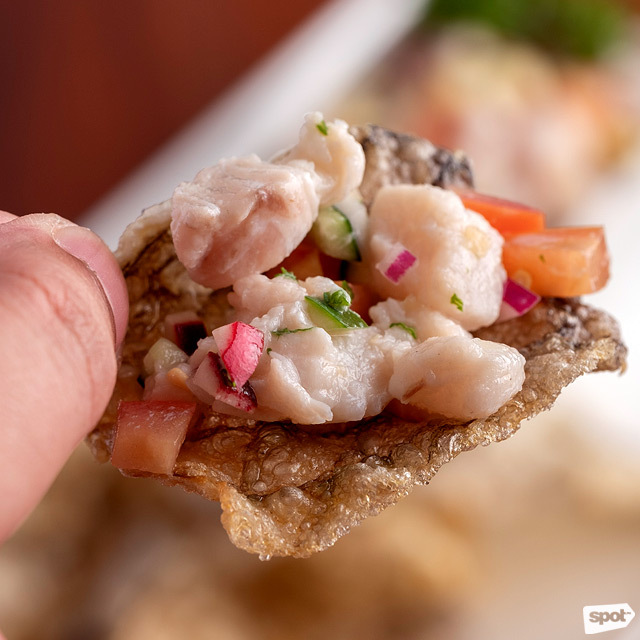 Despite the “tacos” being fried to a crisp, it doesn’t feel as sinful because they are so light and delicate, and they pair well with the Pinoy-style ceviche. 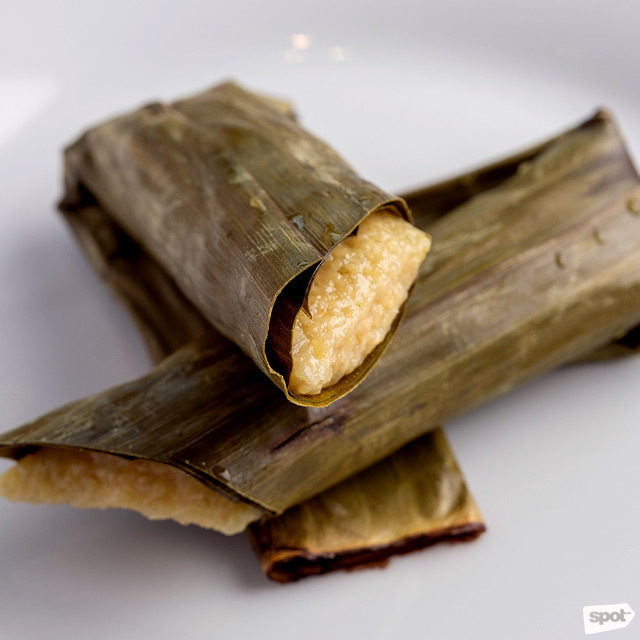 Budbud kabug is a delicacy in Cebu. 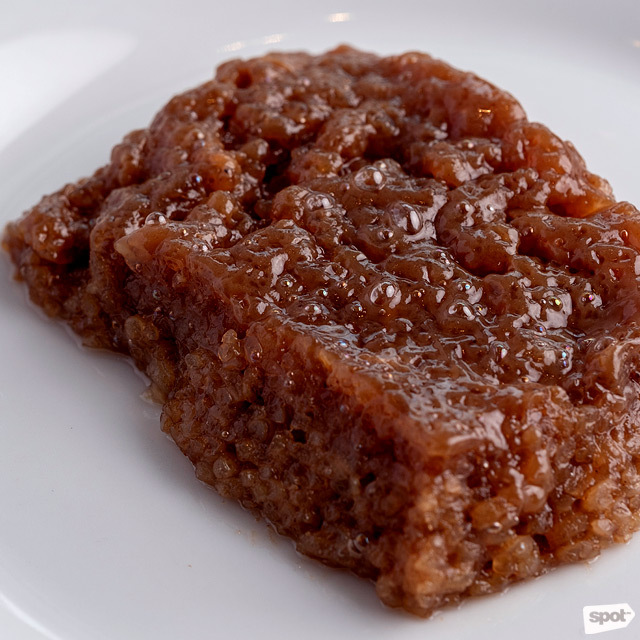 After all the savory dishes, you won't be able to resist munching on some sweet biko. All of Zubuchon’s meals were crafted by Manang Lima, who was first discovered selling home-cooked food on the streets of Mandaue City. After Binamira helped her in the aftermath of a storm, she offered to make her Budbud Kabug and Biko (P70) when she heard that Binamira was opening a restaurant. 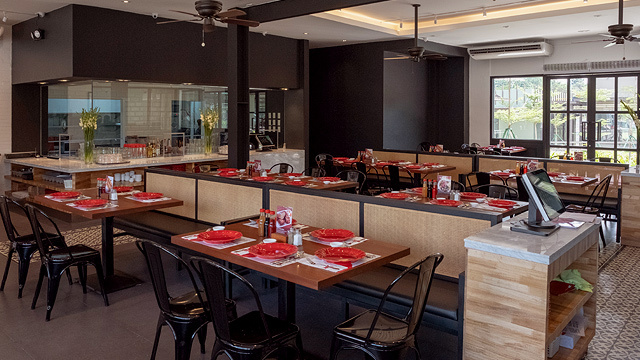 This Zubuchon looks and feels like any branch they have, whether it’s in Cebu or Manila. 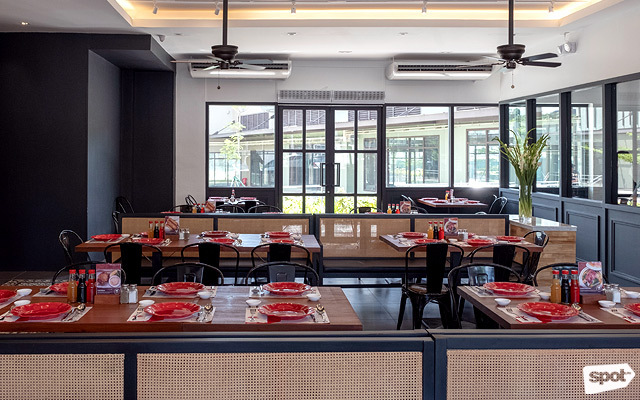 And despite their tireless efforts to produce the same-quality dishes wherever you are, it seems Binamira and his team are going strong as ever, with another new Manila outpost in the works that’s set to open in January 2019. Indeed, they’ve stuck to their guns: No shortcuts, just consistent flavors and service, which is the exact reason why people keep coming back.